Wow! 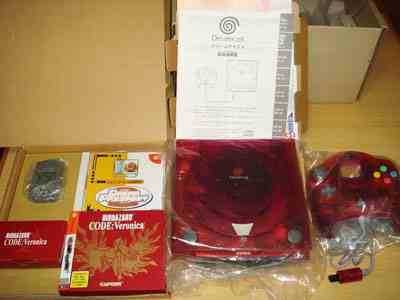 Color us blindsided as we never even KNEW there was a translucent red, Biohazard: Code Veronica Sega Dreamcast released in Japan. This system, copy of Biohazard: Code Veronica, red controller, and special edition VMU is number 600 of only 1800 made and is for sale at Goldenshop in used but very good condition.